I’m back home from freezing NYC where I learned about Winter weather dryness firsthand. My ‘California girl’ idea of dry, Winter skin was nothing compared to what my skin actually faced on a daily basis out there for the past week and a half! Between freezing cold temps, icy winds and then sleeping with the heater cranked up to 80 degrees in my hotel room, my skin didn’t stand a chance. Fortunately, I was sent a tube of Vaseline Intensive Care Healing Serum to review and it arrived just in time for my trip to NYFW and was definitely a lifesaver for my skin. Let’s face it; Winter means dry skin. 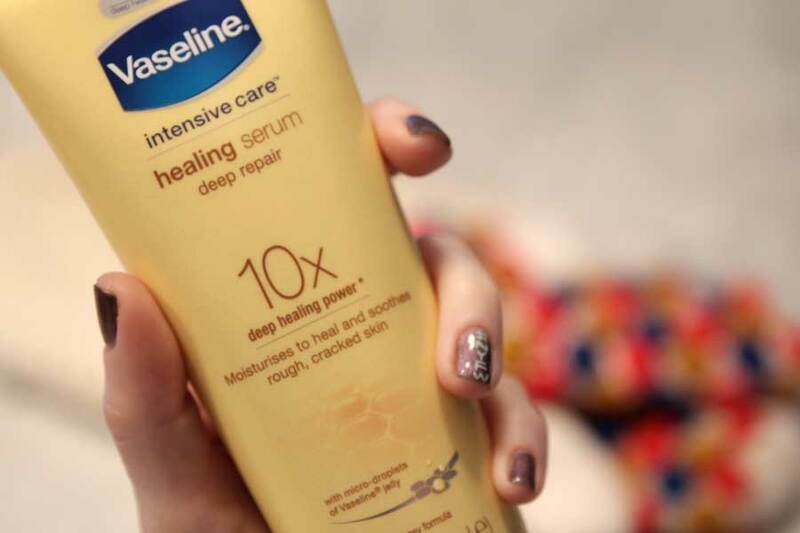 Luckily the new Vaseline body serum trio packs a lot of healing power into a little bottle. 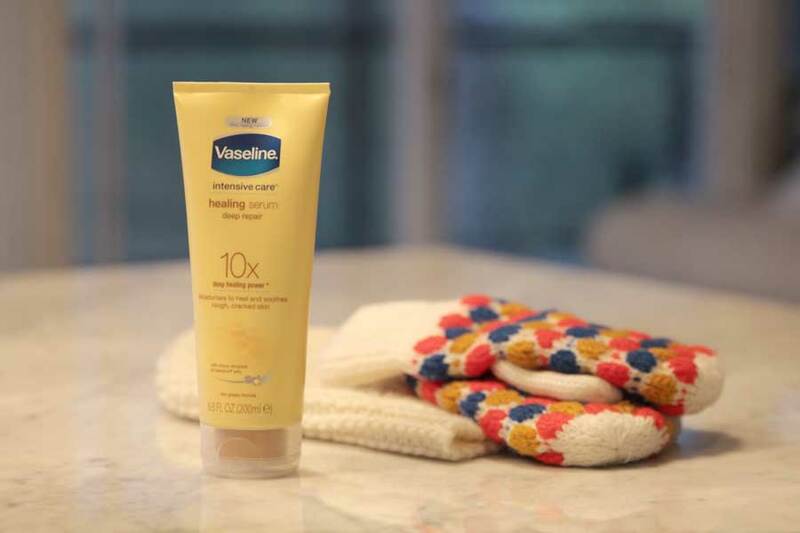 They’re the first Vaseline moisturizing body serum designed to repair dry skin. With 3 different serums, all with 10 times the healing power (moisturizes to visibly heal dry skin by 10x over time), my dry skin doesn’t stand a chance. Here’s a run down of each new Vaseline body serum: Deep Repair moisturizes deeply to heal rough skin, Radiant Restore heals and moisturizes dry, dull skin that needs to be restored and Advance Relief calms and heals severely dry skin. 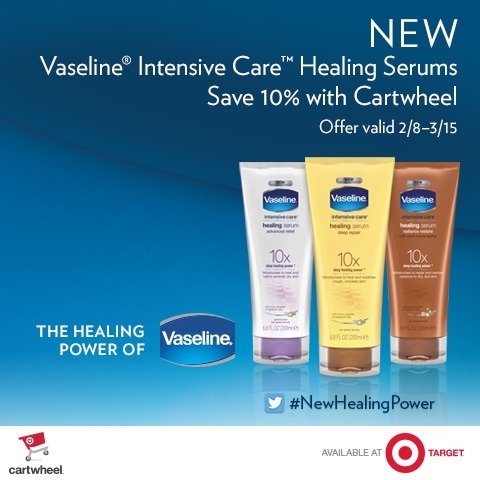 Choose your serum and head over to Target to get 10% off your next Vaseline Healing Serum purchase from 2/8–3/15 with the Cartwheel app. Tell me why you like or want to try the new Vaseline Intensive Care Healing Serums. Just tweet my handle (@thecurrentcrush) using #NewHealingPower to join the conversation. **Sponsored post by Lunchbox, all opinions are 100% my own.